As one of the premier hiking shoe companies the world over, Merrell enjoys a lofty seat above many of its competitors in the market. The footwear brand specializes in outdoor and hiking shoes, designed to rough it out through the most challenging trails. I’ve always seen Merrell as a reliable brand not only based on word of mouth, but also through my own experience with them. 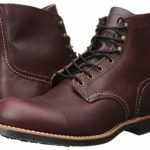 But wanting to dig deeper and find out more about their hiking shoes line-up, I decided to do some research on their designs to find out if the brand really does make good shoes or if I just happened to use one of their better choices. After tallying reviews from verified buyers, reading up on the tech used for their footwear, and comparing their line-up with other well-known brands in the market, I can definitely say that Merrell is a company that doesn’t joke around with their products. 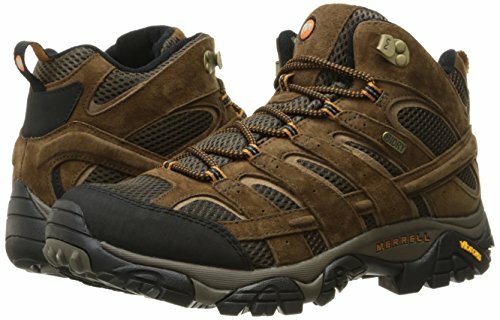 Hardy and reliable without putting too much of a dent on your wallet, Merrell Hiking shoes are designs that I can confidently recommend to any outdoor enthusiast. 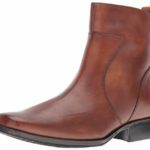 But don’t just take it at that – find out why I think they’d find the perfect place in your footwear collection with this detailed review. Merrell prides itself in its extensive line-up, coming in a variety of designs for every kind of environment. Most of their footwear choices though are designed for typical hiking trails of dirt, shrub, and rock. 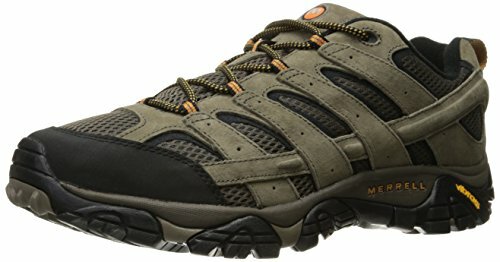 For users who are just starting out their hiking hobby, I can recommend the Moab FST Hiking Shoe. Its low profile silhouette and lightweight construction minimize fatigue. I also appreciate its flexible build which helps give beginners a better ground feel so they can better calculate their step. The best thing about the Moab though is its 5mm deep lugs. 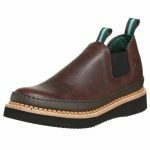 The sole treads are super aggressive, bending and flexing in tune with your step. This allows much better traction as spaces between the pattern work to cling against rocky surfaces, giving users much more stable footing. The Moab 2 Mid Hiking Boot is an ideal pick for those who want something that’s a little better equipped for more challenging terrain. The design combines mesh and synthetic, giving it impressive structure and stability. The Vibram TC5 outsole features the same 5mm lug soles, but boasts a unique air cushion heel that helps conserve energy with its increased responsiveness. The shoe is also completely waterproof, resisting moisture and mud for more demanding hiking conditions. If you were planning on going on a trek in the snow, then Merrell has something in store for you, too. The Moab FST Ice+ Thermo Hiking Shoe is a premium design that gets a lot of praise from certified buyers. The uppers use a combination of mesh, leather, and TPU which are all efficient at maintaining warmth inside the shoe. The Vibram outsole on the shoe is also particularly impressive, allowing maximum stability and traction on both wet and dry surfaces. Finally, users who want something that will hold up against muddy terrain and extended immersion, then the Capra Rapid Hiking Water Shoe should make a great pick. The lightweight design makes it easy to trudge through wet terrain. Plus, it’s extra reinforced to resist water damage and penetration. One of the many challenges you’ll face on a hiking trail is fatigue. Shoes that don’t provide enough comfort can start to feel cumbersome and tiring on the feet. The Merrell series of footwear takes that into account, and thus provides a wealth of choices for buyers who are particular about comfort. 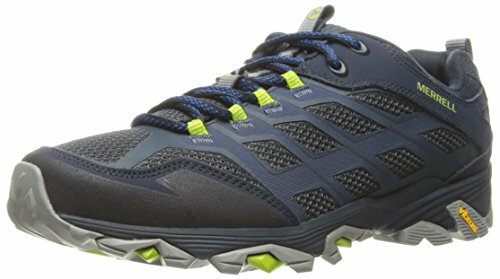 Personally, I found the Chameleon Prime Stretch Hiking Shoe to be one of the top performing choices in this arena. Using a unique cinching stretch closure and a stretchy topline, the Chameleon Prime fits much more snugly around the feet. Ultimately, this makes movement much more natural. The shoes put very little restriction on your range of motion. Plus, they offer impressive ground feel for a more natural experience. Of course, my only issue with it is support. Being that it does have a low collar, there’s not a lot preventing an ankle injury. I do have to commend the Select Grip outsole though which has some of the stickiest grip I’ve seen on a pair of hiking shoes. Assuming that you land flat on your feet with each step, it’s unlikely that the soles will give in to cause an ankle injury. Since we’re on the topic of comfort, I also want to talk about the Moab 2 Vent. For users who are particularly sensitive to moisture and too much warmth, the Vent makes a great pick. The design promises out-of-the-box comfort with its efficient ventilation system. This is made possible by a combination of premium materials that maximize air flow and wick away moisture. All in all, the design wins at keeping interior climate cool and dry all throughout your hike. Take a pair of any old hiking shoes on even the easiest track and you’ll find that they’ll take a pretty hard beating. 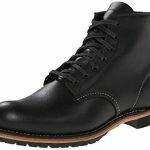 Hiking is a sport that’s challenging on both the hiker and his gear, so it’s vital that you choose a pair of shoes that can see you through – not only on your upcoming hike, but on any future trails you might want to conquer. 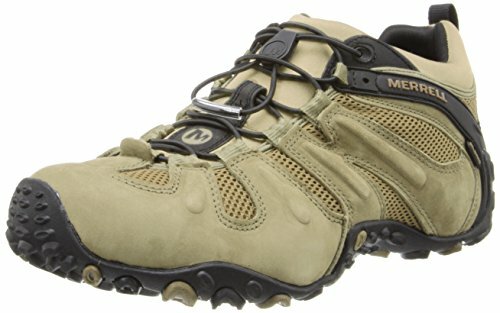 I have to say, the Merrell line-up has some of the most durable shoes I’ve ever seen. 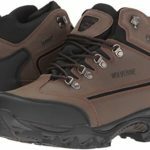 A design that particularly stood out during my research in terms of hardiness is the Annex Trak Waterproof Hiking Shoe. Using leather, synthetic, and textile uppers, the design takes to scuffing really efficiently, barely showing any signs of use even on the driest or muddiest of dirt trails. The ultra heavy duty Vibram soles are deeply etched with aggressive tread patterns for killer traction. But despite giving such an impressive amount of bite, they don’t wear out even after several uses. In fact, this holds to be true with most of Merrell’s designs. With the way their soles hold up against damage and wear, it’s easy to see that this particular aspect of each design is something they really invest in. And I have to admit, it does pay off. 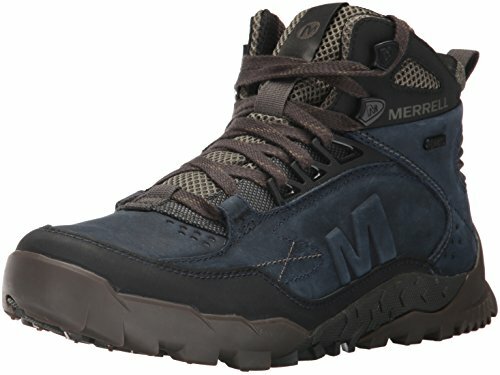 With so much thought and careful consideration put into each of their designs, it’s really hard to find any issues with the hiking shoes from Merrell. But of course, there is not such thing as a perfect shoe. So I did find there to be a single design flaw with the shoes they offer. That is, they’re not the most breathable. Of course, this is with the exception of their Vent series. In fact, I think the Vent line-up was the company’s response to buyer complaints regarding breathability. Not wanting to sacrifice durability and stability, it’s easy to see why air flow had to take a backseat with most of their choices. For instance, designs like the Phoenix Bluff Waterproof Hiking Shoe can be incredibly warm on the feet. This is because they resist moisture from the outside. The waterproof material also inevitably prevents a lot of air flow through the shoe. So you should make sure to wear a decent pair of hiking socks when you plan to use them. A lot of the shoes from the brand struggle with the same issue and restrict a significant amount of air flow. This is particularly true with the waterproof selection, giving rise to excessive perspiration and warmth. Is it a deal breaker? I wouldn’t say that it is. At the end of the day, you still get a pretty solid shoe that does well on the off-beaten track. But if you were hoping to get the same comfortably cool climate that that sporting shoes offer, then you’d probably be disappointed. A wealth of choices for a variety of hiking conditions – from dry dirt, to muddy trails, to snow. Durable construction that’s built to survive countless uses on even the most challenging terrain. Vibram outsoles are superb at providing adaptive traction. Comfortable insoles and soft padded collars help reduce fatigue and limit the chances of injury. Not the most breathable shoe designs available. 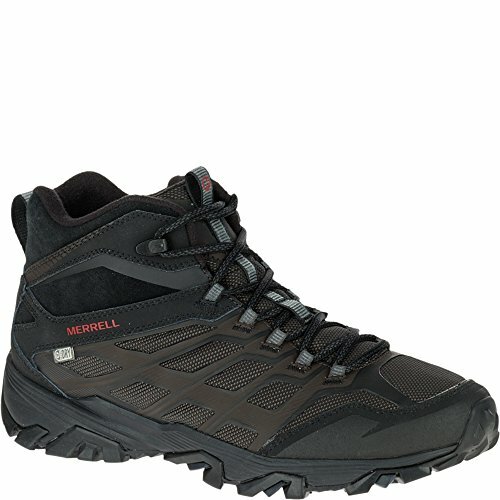 Merrell Hiking Shoes are some of the most impressive you’ll find. They’re durable, safe, supportive, and comfortable, making them ideal for long hikes on a variety of trails. Sure, the company struggles a little when it comes to breathability especially for their waterproof line-up. But in my opinion, the selection offers a whole lot more benefits, making its one minor design flaw easily forgivable. Plus, when you consider the price tag on these things, it’s easy to see why the minor issue isn’t such a big deal. So can I recommend them? I say absolutely. Just make sure to consider your specific needs and hiking preferences to guarantee the best fit for your standards.